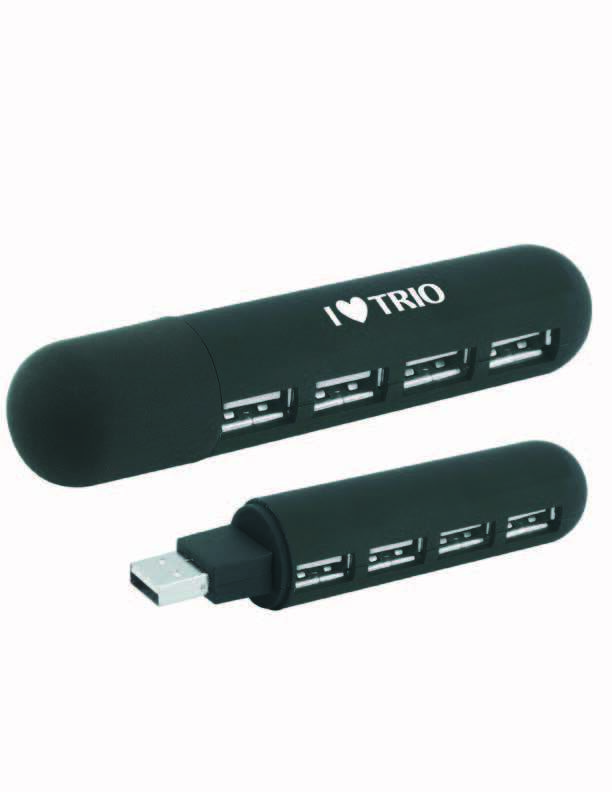 POCKET-SIZED 4-PORT HUB concept for TRIO. Slim design, travels anywhere, includes cover to protect connector when not in use. Can be printed with any one color TRIO logo or artwork.